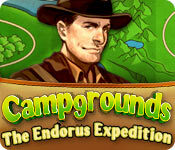 Campgrounds: The Endorus Expedition is rated 3.5 out of 5 by 22. Rated 5 out of 5 by Jeana_Lowes from Similar to the first version This is similar to the first version, so if you enjoyed that, you'll enjoy this. I've only played the timed campaigns, so I can't speak to the untimed version's play, but I would think it is as enjoyable as any of these Sim City style game variations. The graphics are great, plenty to do, and there's another female lead in this game. Neato! 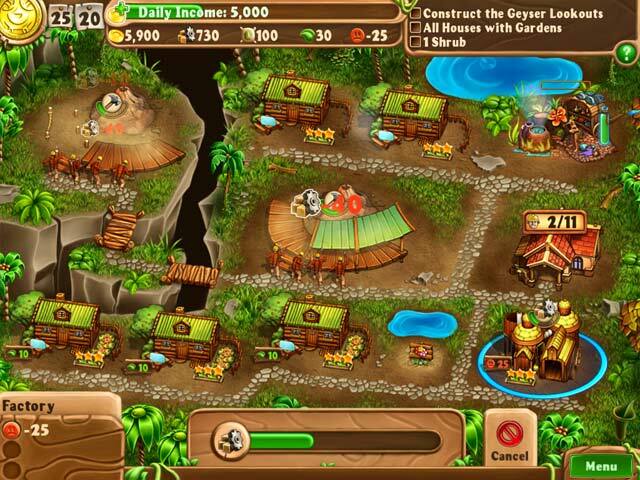 Other comparable games on Big Fish include Build It, Green City, Big West, Be Rich, and more. Rated 5 out of 5 by lfouquette from Perfect for Me This is a great little game with a balance of enough challenge to be interesting without time pressure or too much going on to stress or overwhelm me. I play in the relaxed mode. You have some latitude in how to achieve the goals, so it's not just following one set of "correct moves." You can be a little creative. I don't love a lot of character talking or story-heavy games, so this is good for me. This is my favorite strategy game so far. I also like the Rescue Team and Royal Envoy series. But this is even better for me. I'd highly recommend it. I'm just sorry there aren't more in the series. Rated 5 out of 5 by DrDavid from One of the better TM/adventure games I was slightly surprised when I played the first couple of levels during a free trial, because the strange title made this game sound like something I would not like. However, I quickly changed my mind, bought it, and finished it the same day. That just is rare for me. I could not stop playing the game or walk away from it. It was addictive. It is a TM game but I played, as I always try to do, in untimed mode. The player establishes a “campgrounds” for an expedition. 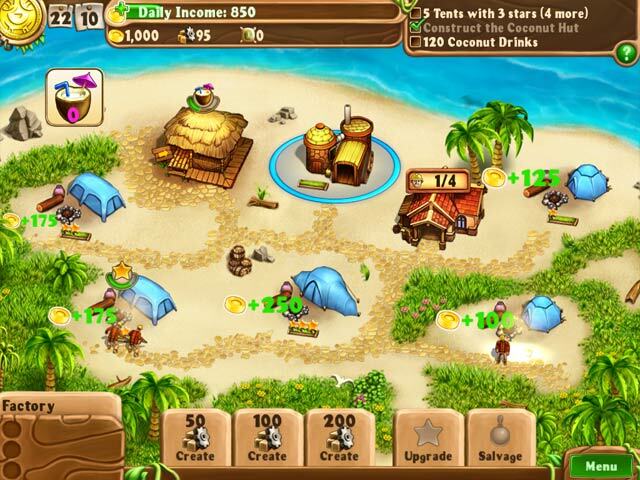 That “campgrounds” includes money generating domiciles of varying types, and then has specific tasks in each level. Each level is a new “campground”. The tasks involve acquiring money to build facilities which in turn perform tasks related to the main goal of that “campground”. It sounds simple enough and it really is. There are no catastrophes or villains to randomly mess up your initial plan of attack, as so many games have today, so this is a strategy game too. Despite the odd sounding name, I think this is a game which everyone should at least try. 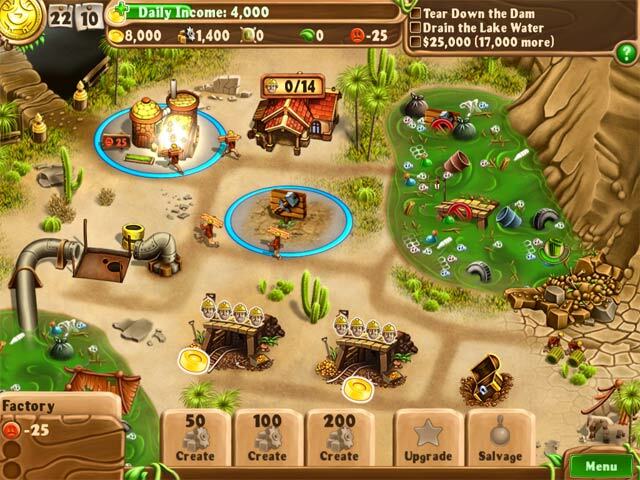 Rated 5 out of 5 by BlackWaterRules from Fun Time Management Game Based on the demo This is a fun time managment game. The graphics are nice with upbeat calypso music playing in the background. The heroine takes a small sailing ship to an island in search of an ancient civilization calld the Endorus. She hires workers and buys supplies to expand some tents and build others, upgrading all the campsites so the explorers who have come to the island will pay more "rent". It is a really fun game. Be careful, it gets faster and more complicated as you reach different levels. Rated 5 out of 5 by mendolyn from Lots of Fun! I bought the CE of this game in a sale and have really enjoyed it immensely. This game is really fun and sometimes quite challenging. Good: graphics and music are well done game play is fun and challenging untimed and timed modes available Bad: not sure, i liked the game overall so no negatives for me This game is even better than the first Campgrounds and a real treat for Time Management lovers so give it a try. Happy Gaming! Rated 5 out of 5 by pennmom36 from A Camping We Will Go! Finally, a time management game with unusual goals and structures available. You can choose timed or untimed and I liked the fact that each level gave you new goals and you have to use strategy in order to accomplish those goals. You need to build factories in order to produce materials needed to build tents, trailers, huts etc. which in turn make money to buy the supplies and hire workers. You need to build greenhouses to produce seeds needed for gardening and making the campsite eco friendly. You will need to figure out a way to balance these tasks, and when to upgrade to complete the goals which can earn you a silver, bronze or gold medal. The game starts out a bit slow but quickly picks up with more challenging goals, give it a try, enjoy! Rated 4 out of 5 by karenmusik from Fun, but miss some of the ooptions from the first game I really like this series. I have the original on my iPad and love the different playing levels and options. I was really excited to see a sequel and bought it immediately. Good: Like that you can now "reclaim" anything you demolish Like some of the new buidlings Like all the building upgrades Like some of the new quests Not so Good Miss the different goal options from the first game - eco vs money trail. Made for a lot more playing variety.